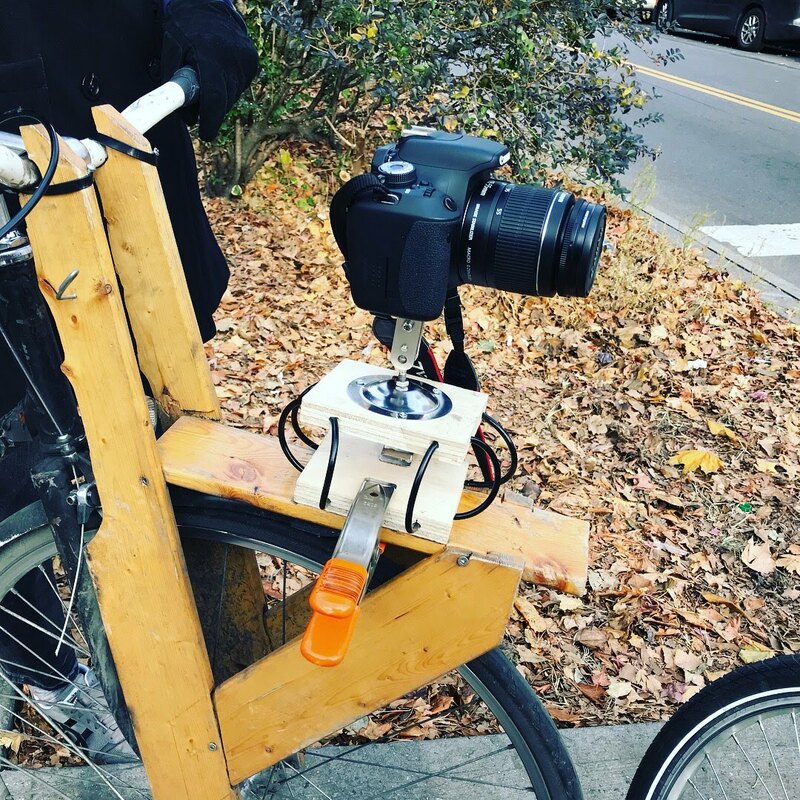 We are the kind of people who designed a bicycle you build yourself so when it came to the Kickstarter video obviously we were going to make that ourselves also. In the end the video is OK, not great but hopefully good enough. Here are some tips, tricks and how we made it. First we wrote a script in Google Sheets. Detailing the video and script for each scene. We also used a borrowed version of Adobe Premier Pro to edit. For each video we used video effect “ Warp Stabilizer” at 30% to remove vibration and camera movement. For each video we in general increased the vibrance, saturation and contrast by 10%. We also shifted the color correction towards blue to give all the videos a blueish tint. For the moving scenes we mounted the cameras onto a board with bicycle brake cables curved and connected to the bottom board to create a slightly effective dampener. This board was clamped to another bicycle and ridden alongside. For audio we clipped the microphone of the iPhone headphones near Alex’s neck and set the iPhone to record audio. In post production we lined up the audio and video. The audio was very noisy with traffic and rustling of clothes. We used the program Audacity with the noise removal function to quiet down unwanted noise.